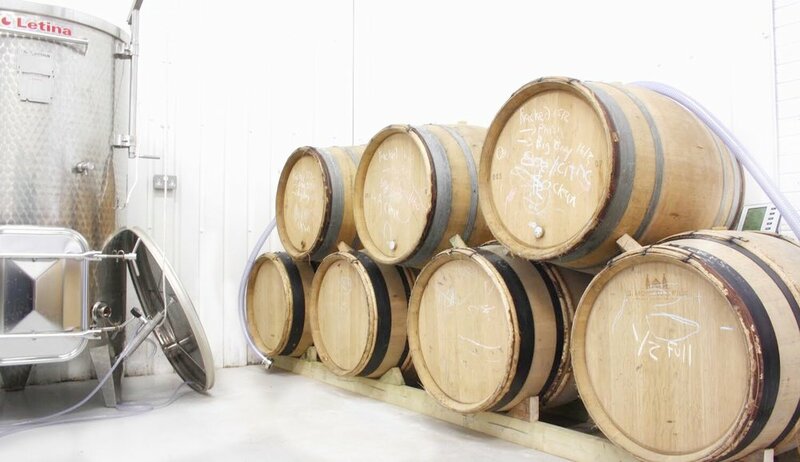 Battersea was not the first place that sprung to mind when we heard about an exciting new winery at The Amazing Blog. However, that is precisely what Sergio Verillo and his wife Lynsey have done, underneath one of the many railway arches in the area, lining the commuter routes into London. Working with a select group of English vineyards, based in East Anglia, Essex and Oxfordshire, this entrepreneurial couple have introduced a range of wines of superior quality … but don’t just take our word for it - ‘Chez Bruce’ in Wandsworth is just one of the Michelin starred restaurants to carry their bottles of magic. Blackbook is part of a dynamic and growing wine scene in London. Urban wineries are fast becoming commonplace in major cities around the world. An urban winery sources its grapes from a variety of growers, and produces all wine on its site. Blackbook source their grapes from carefully selected English growers, in order to produce still and sparkling single vineyard English wines. Although their concentration is on pinot noir and chardonnay, they include some additional varietals each year. Blackbook follows a traditional winemaking approach with low sulphur wines, and indigenous ferments as a means to preserve the varietal character. Blackbook’s inaugural wine was a 2017 English Rosé, made from pinot noir grapes from Clayhill Vineyard in Essex. This was awarded a silver medal at the Drinks Business Global Rosé Masters, and is now listed within a number of high end wine bars and restaurants across London. Following hot on the heels of the Rosé, comes a 2017 Pinot Noir, and a 2017 Chardonnay - all of which stem from the soil in our very own country. Nurtured by the micro climate which East Anglia enjoys, this is particularly good for the high sugar content in the Pinot Noir and Bacchus grapes, and similarly, the sandy loam soils of Oxfordshire are ideal for sourcing theur Seyval Blanc. Sergio and Lynsey are justifiably proud of Blackbook, and are allowing us all the chance to go along and find out more from the founders themselves. They are currently running winery tours twice weekly: Wednesdays at 6pm and Saturdays at 4pm. The tour lasts for an hour and costs just £15 per person; all aspects of the wine making process are covered by Sergio himself, and each guest receives an exclusive ‘Cellar Door Discount’ on the wines available. Gift vouchers can also be purchased, and redeemed against any available date through their shop here. The Blackbook wines are also available online with the 2017 Rosé priced at £17.50, and both the 2017 Chardonnay and Pinot Noir at £18.50 each. For further details, contact Blackbook directly - understandably all visits are by appointment. You’ll find them located at the following address: Blackbook Winery - Arch 41, London Stone Business Estate, London, SW8 3QR, and the nearest station is Queenstown Road. Enjoy! Snacking, often the cause of many a failed healthy eating attempt, is something we can't live without at The Amazing Blog. Fortunately, the expansion of the health food market has unearthed a vast selection of new and healthier alternatives, so we can snack healthily, without cutting out our favourite snacking foods. Below are a few of our latest discoveries, which have encouraged us to snack more mindfully in recent months! Firstly, we came across The Nu Company, a German brand, with the vision of providing cutting-edge health products, that don't cut out flavour. As a company, they aim to change our perceptions, not only about healthier foods but also about the way in which we consume. This includes the desire to enable large-scale reforestation, planting a tree for every product sold. While eating their raw cacao bars, we have already helped to plant eight trees - what better way to help the environment? Made only from "ingredients you are able to pronounce", these raw cacao bars come in a variety of different flavours that do not contain artificial additives. Instead, each bar contains raw cacao, hemp seeds, coconut blossom nectar, almonds, lucuma and acerola - flavoured with natural flavourings for a delicious pop of Espresso, Barberry, Hazlenut and Coconut. This combination of natural and organic ingredients provides a vast array of health benefits, from adding plant-based protein, to providing a new method of incorporating your daily vitamins and minerals. They also contain omega-3-fatty-acids, and we can confirm that the Espresso bar proved popular on a Monday morning! The Nu Company endeavour to push environmental awareness further - their bars are wrapped in home-compostable foil and are encased in recyclable cardboard boxes, ensuring their packaging is plastic free. What more could you ask from a chocolatey snack? To try a Nu+cao bar for yourself, purchase from a wholesaler (The Health Store, Tree of Life or CLF) or click here to order a 40g bar for £2.79. For a non-chocolate based sweet treat, we came across Abakus, founded by Helen Wang, who wanted to introduce the lesser know Jujube Fruit into the UK market. If you're unsure of what Jujube is, then you're not alone - perhaps it is fair to insinuate it as the forgotten member of the date family! That said, we didn't know what we were missing, and the naturally sweet and caramel like flavour has encouraged us to become more adventurous with our snacking. Jujube has a host of health benefits, it is packed with nutrients and essential amino acids, and is a known adaptogen (proven to help the body adapt to stress). We tried three different variations of Jujube fruit, the first being the original Red Dates. Pitted and dried, they work well as a snack on their own, but we also found them equally delicious when added to our favourite brownie recipes - not so healthy but they say it’s all about balance! They have a chewy texture, and like all of the products in the Abakus range, are gluten and dairy free, and count as one of your five a day. Secondly, we tried the Crunchy Crisps, which, as the name suggests, are sliced into smaller pieces, giving them a crunchy yet chewy texture. These proved delicious when sprinkled over porridge, adding a bit of texture to our regular oats. Finally, we also tried the Red Dates Stuffed with Almonds, perfect for a post-workout snack thanks to the additional energy and healthy fats of almonds. As with the other variations, these Jujube pieces are vegan, paleo, sugar and sulphate free, making them an excellent snack for anyone with a sweet tooth. To try Jujube Fruit for yourself, visit the Abakus website (here), where you can purchase a range of different multipacks from £13.00. Thirdly we came across Elements for Life, a brand founded by husband and wife, Dan and Paula Knowlson. After embarking on a health, nutrition and diet journey, through which they discovered raw chocolate, Paula suggested making their own, and the rest is history! What has emerged is a company that is committed to creating products suitable for a wide range of people, with products suitable for vegans, diabetics and coeliacs, as well as those with lactose intolerances. This popularity is proven through the recent celebration of their 8th birthday, and so we couldn’t wait to try their offerings. 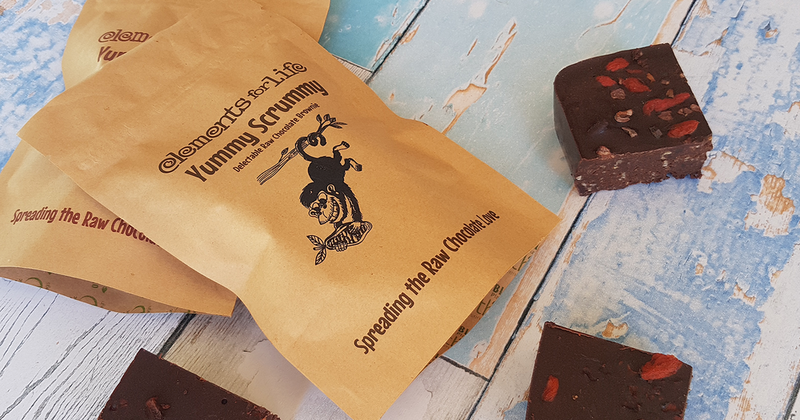 We tried their Yummy Scrummy Raw Chocolate Brownie, a delectable and rich product made with Criollo raw cacao, dates, walnuts, raisins, goji berries, brazil nuts and fruit extracts. These ingredients not only taste scrumptious, but they are free from refined sugar, dairy, gluten and soya, meaning we can indulge in a chocolately afternoon treat without feeling too guilty. We found that the use of goji berries provides a welcome pop of flavour to lift the rich nature of cacao, and it’s safe to say that these brownies didn’t last long in the office. To try a Yummy Scrummy Raw Chocolate Brownie for £2.79 per bar, click here. If you’re more of a pudding lover, then Pudology may well be the brand for you. Founder Lucy Wager took to the kitchen after realising there were few puddings suitable for her dairy and egg intolerance. This emerged a brand that is vegan, suitable for coeliacs and free from gluten and wheat. The real winner here is the creamy and decedant consistency of the puddings, often expected to be lacking in vegan desserts. 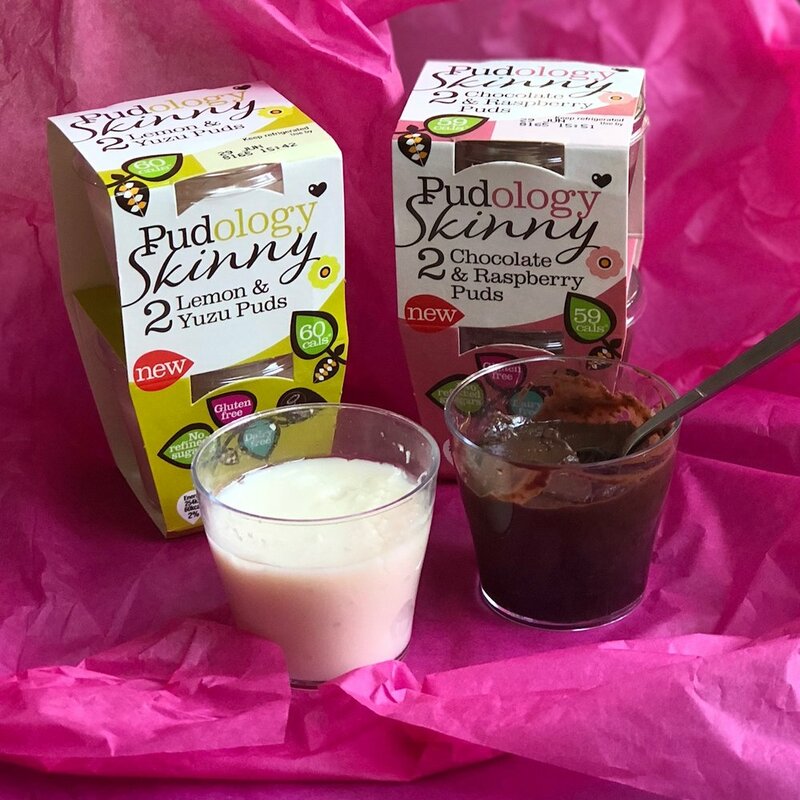 Pudology offer a range of seven puddings, we tried their Bannoffee Puds previously, and were excited to try the newly launched ‘Skinny’ versions: Skinny Chocolate and Raspberry Puds and Skinny Lemon and Yuzu Puds, which contain under 60 calories. The Skinny Chocolate and Raspberry Puds contain coconut cream, dark chocolate and raspberry compote, which together give a hit of intense chocolate while remaining light with the zing of fruit - a classic flavour combination that is most certainly a winner here. What’s better, is that despite the creamy texture, the calorific content is much lower than other chocolate puddings. The Lemon and Yuzu Puds were lighter and fruitier, ideal for people with less of a love for chocolate. That said, they proved equally popular with the biggest chocolate fiends at The Amazing Blog. We loved the use of yuzu, which adds a grapefruit like zing without an overly tangy aftertaste, and again were pleased to discover the low calorie content. To purchase two Chocolate Orange Puds for £2.25, click here, or for the Lemon and Yuzu Puds for £2.25 click here. Last, but not least, we were fortunate to try Nibble Protein Bites once again. Founder Erin Moroney formulated a range of high protein snacks after discovering a distinct lack of low sugar snacks on the market. We tried Nibble Protein’s offerings last year (see here), and as avid runners at The Amazing Blog, we were keen to find more protein snacks that do not contain counterproductive added sugars. All ingredients in Nibble Protein Bites are dairy, gluten and soy free, instead favouring pea protein and dried plum purée for natural fibre and antioxidants. Firstly we tried the classic flavour combo of Choc Orange Brownie, made with dark chocolate chips and packed with natural orange flavouring. These scrumptious nibbles contain coconut nectar and gluten-free oats, providing a low GI and fibre simultaneously. They were certainly a welcome treat to power us through our to-do lists. Equally delicious, the Choc Walnut Brownie was a hit with the nut lovers of the office. We particularly enjoyed the pop of vanilla and found this flavour a perfect mid-morning snack to accompany a coffee (or two!) Finally, we tried the Mint Choc Brownie flavour which was subsequently our favourite. Made with cacao nibs and enriched with peppermint oil, we found it hard to believe that these decadant packets could be regarded as ‘healthy’. As you can see, swapping to healthier snacks doesn’t always call for bland and boring choices. We hope to have opened your eyes to a new way of adding sweetness to your diet, we are certainly loving it! 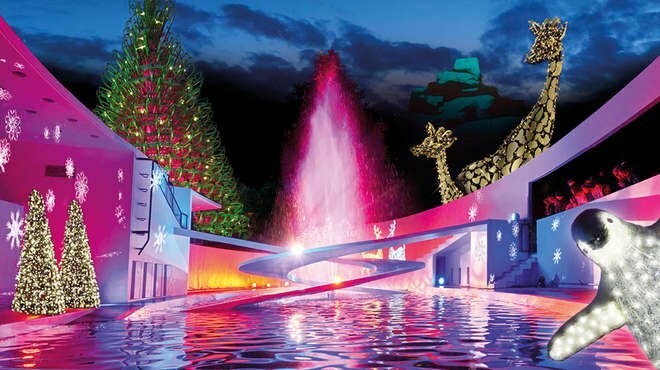 It is time to treat ourselves to some sizzling entertainment, flashing lights and beautifully manufactured costumes. 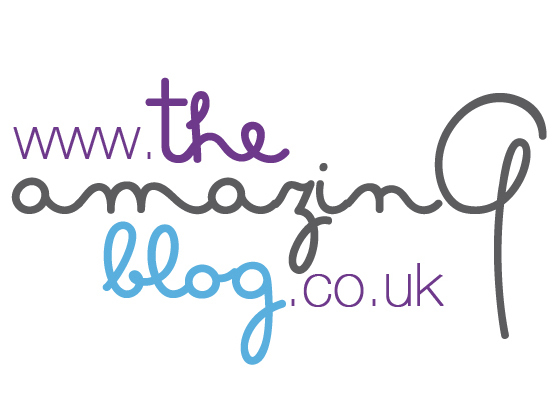 You heard right; we at The Amazing Blog, are returning to the Clapham Grand this November for the City Academy’s premier burlesque show - RevueLesque. This show combines cabaret with can-can, with a cast of 23 powerful women performing a range of mind-blowing dances from traditional to modern burlesque. The artists are business professionals during the day that seek to inspire their audiences at night, offering a new perspective on burlesque and female freedom of expression. We have no doubt that your senses will be enlightened. With its 5th show right around the corner, the revival of the burlesque is hard to unsee. The City Academy is known for its adult creative and performing arts courses across London, including two burlesque companies. If this sounds as promising to you as it does to us, you can join the show on Tuesday 13th of November at 19:30 at Clapham Grand, 21-25 St John’s Hill, London SW11 1 TT. 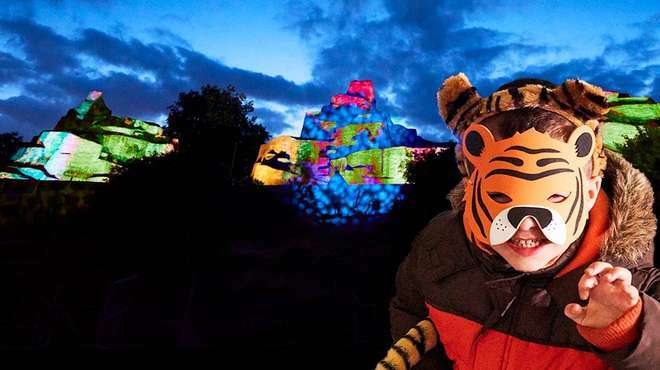 Tickets are available for £19.50, click here to purchase your own from the City Academy website. If you can’t wait to see the girls in action, you can also click here for a little sneak-peak of their latest work. Including a face oil in our daily beauty routine has become somewhat of a ritual for us at The Amazing Blog. This week, we’d like to introduce you to four of our favourite luxury face oils that will enchant your senses, revive your skin and keep your complexion feeling supple and hydrated, even as the temperatures drop. Our first pick is Replenish, a night oil created by the award-winning aromatherapy brand Beatitude. As a brand that we know and love, we have previously written about their Peace Bath Oil. Founded by Rebecca O’Connor, the name of the brand itself represents supreme happiness and blessedness, and according to Rebecca, the brand aims to bring “a sense of happiness, calm and well-being”. We can certainly vouch for this, as the Replenish Oil has become a much-loved part of our wind-down evening routine. It’s a profoundly nourishing oil that awakens your senses and skin cells, to give your complexion a radiant and healthy glow. With powerful ingredients like rose, neroli and immortelle, it is also anti-ageing, working to combat fine lines and dehydration. Anti-oxidants and vitamins are mixed in a unique formula of rosehip, vitamin E, evening primrose and many more natural plant ingredients. These make our skin feel nourished and rejuvenated, and as the texture is light on the skin, it doesn’t leave the greasy look that most of us fear when considering facial oils. Instead, it absorbs quickly and has become a firm favourite in our nightly beauty routine. It can be used under night cream or stand-alone; apply to the décolleté, neck and face with light upwards massage movements, but be careful to avoid the delicate eye area. Click here to purchase a 30ml bottle of anti-ageing magic for £38. Up next is a deeply nourishing and natural facial oil, known for its premium anti-ageing properties. Created by experts at Lumity, a brand committed to proving that ageing is more than skin deep, their Natural Anti-Ageing Facial Oil is equally rejuvenating and balancing. The brainchild of Sara Palmer Hussey, Lumity’s products are designed with busy lifestyles in mind, combining vitamins, minerals, omega-3 fatty acids and amino acids to create simple skincare and supplement products. In fact, we reviewed Lumity’s Anti-Ageing Supplements back in 2017, click here to view the post. This time, we tried the Facial Oil and were pleased to discover that the formula contains 32 different botanical oils and extracts, including passion flower seed oil, known for stimulating skin cells, and marula oil, known for healing powers. Alongside this, the mixture of argan and jojoba seed oil make this a unique and plant-based blend, full of the nutrients that are welcome as winter approaches. This luxurious oil provides smoother skin, and in just 4 weeks, 73% of users noticed a reduction in the appearance of fine lines and wrinkles. These are statistics we can back, as members of the Amazing Blog team (not naming any names) have noticed similarly smooth and younger complexions. Lumity's Facial Oil (30ml) is available on their website, standalone for £60 or at a discounted rate of £48 if purchased as part of their monthly subscription. 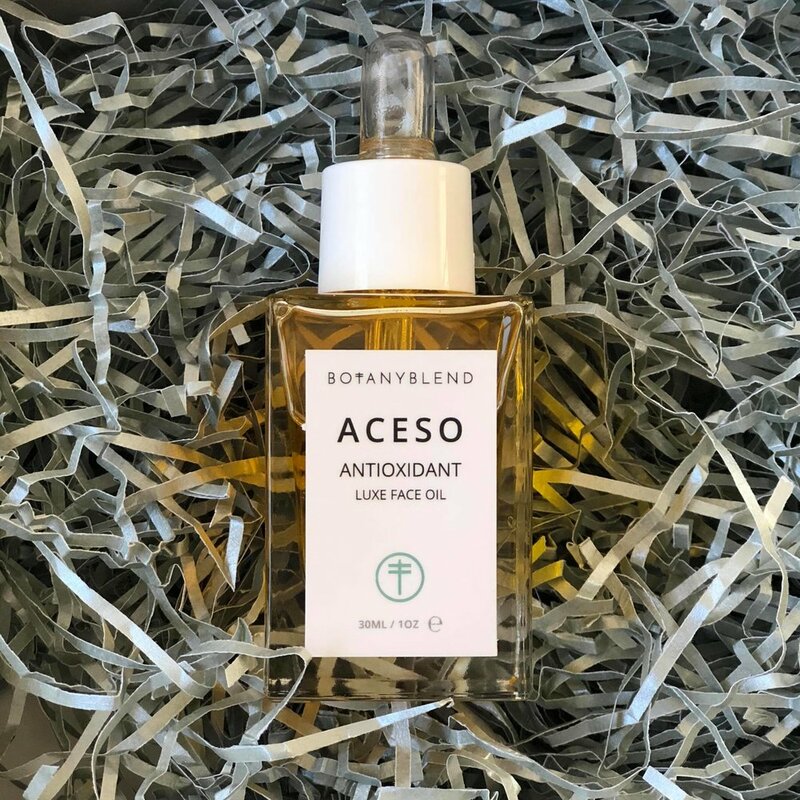 Our third find this Friday is from Botany Blend; a brand celebrated for combining green beauty and luxury, offering us a range of oils that indulge our minds and bodies. With expertise in aromatherapy products that satisfy your senses, and revitalise the skin, each batch is handmade and all ingredients are sourced sustainably. We love the use of certified organic ingredients and were excited to discover that the products are all made in a small studio on the Devon coast. We tried the Aceso Oil, which like Botany Blend's other products, is free from essential oils. The formula contains numerous potent antioxidants, alongside Co2 extracted sea buckthorn, rosehip berries, apricot kernel, safflower and Japanese camellia. These are all rich in plant-based fatty acids, helping to nurture even the most sensitive of skin. We found that the oil was easy to apply, and was soothing, yet non-greasy, ideal for use both morning and night. It even acts as a smooth base for makeup, something we would often steer clear of with other oils. If you have sensitive skin or are merely looking for an organic oil that does not contain essential oils, then this will be for you. Purchase your own 30ml bottle of Acesco for £35 here. Last, but by no means least, we came across Vetivert & Co, a London based brand, founded by Aanu Oduyeni to provide plant-based oils to nourish and repair the skin. Suffering from acne, and dreading scarring, she envisaged a brand that would be free from synthetic fragrances, nut oils and parabens, and suitable for vegans. These goals are something that she has very much achieved, so we were excited to try the Balance Oil. As with Vetivert & Co's other products, Balance Oil is cruelty-free, and 100% natural, containing a blend of tamanu, seabuckthorn, palmarosa and lavender oils. We found these ingredients not only helped to avoid future breakouts by neutralising and calming the skin, but that they also helped to repair it, aiding with the scarring that many of us are availed with. This oil helps to defy the stereotype that oils will clog pores and worsen acne, as many of us here have been suitably impressed with the long lasting effects. As a lighter oil, this can be used twice daily (morning and evening) and should be gently patted onto damp or dry skin. Combat your acne worries by purchasing a 30ml bottle here for £35. Face oils often have a reputation of only being necessary for dry or older skin. While there is truth in this statement, we hope to have opened your eyes to the uses of facial oils for all skin types. Whether you have sensitive or acne prone skin, we're sure one of these products will be suitable for you.